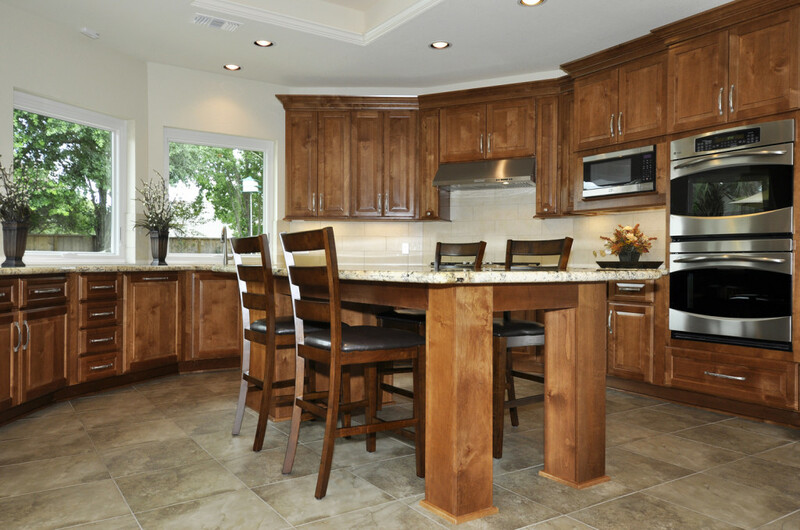 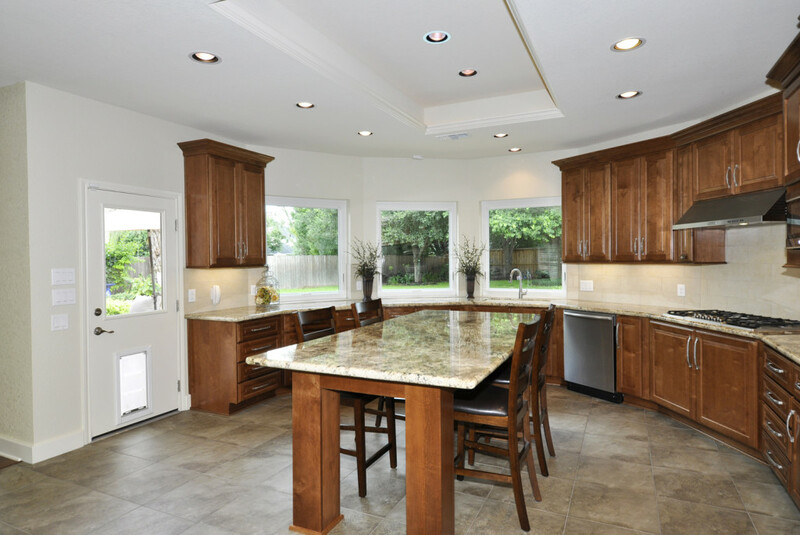 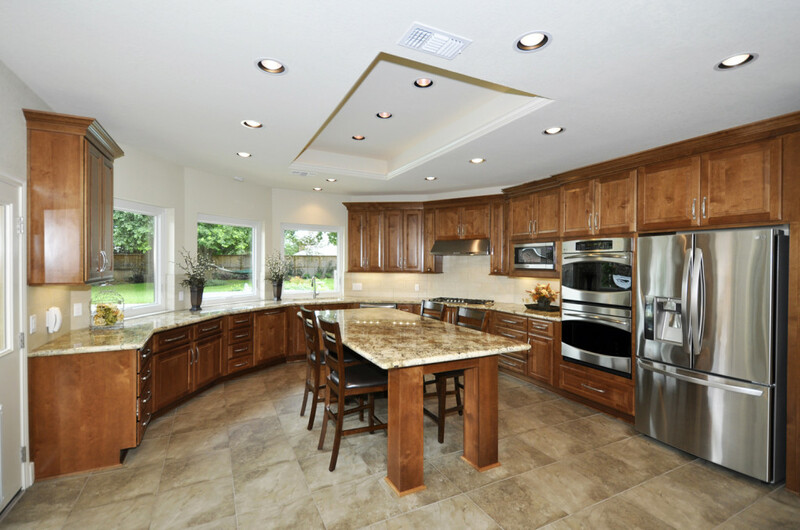 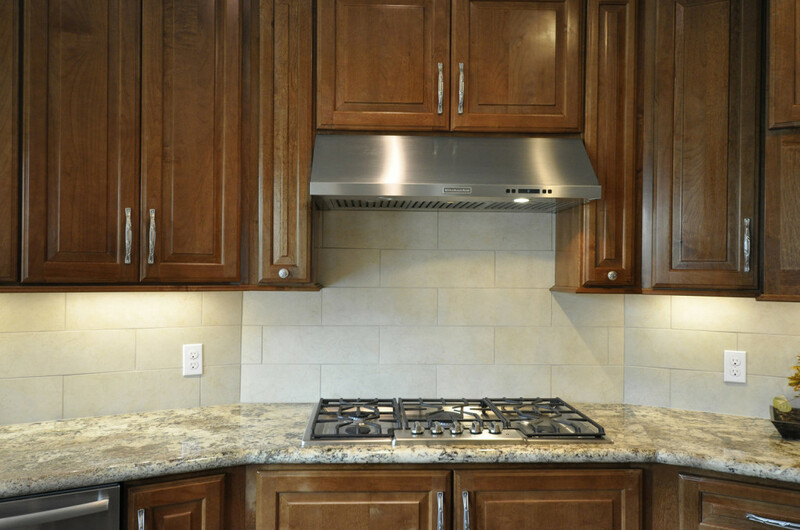 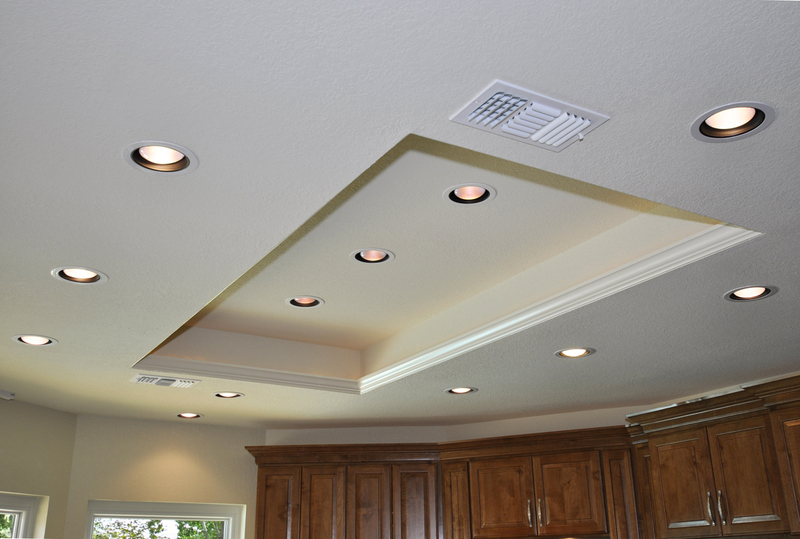 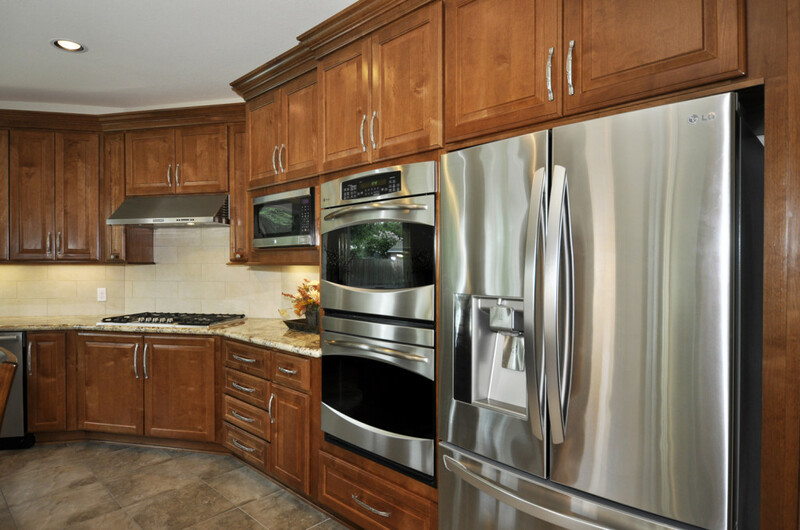 White cabinets replaced with stained Alder cabinetry. Custom posts to create island seating. 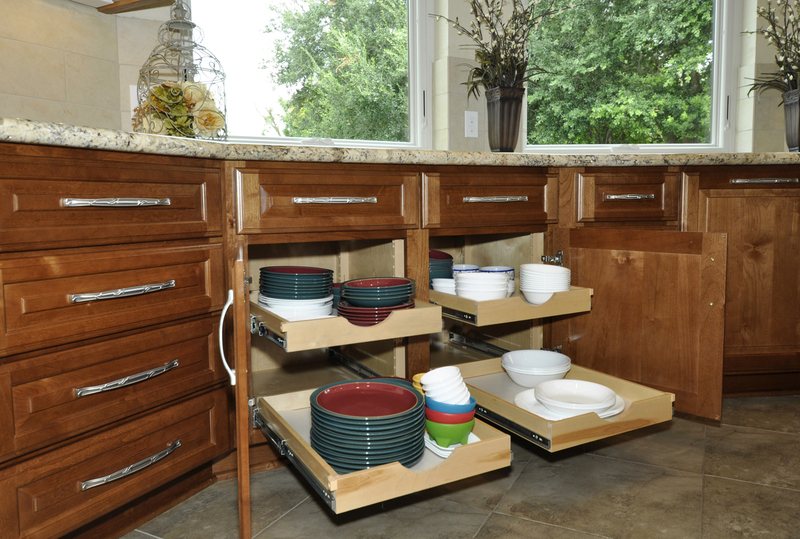 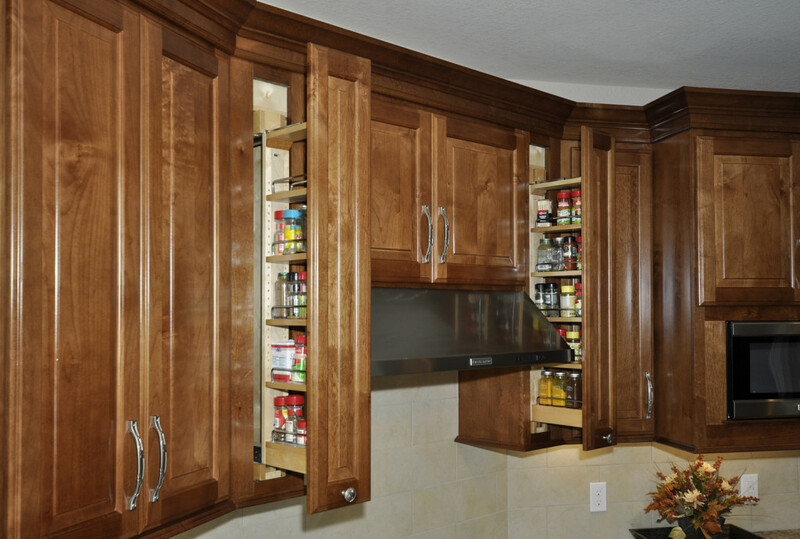 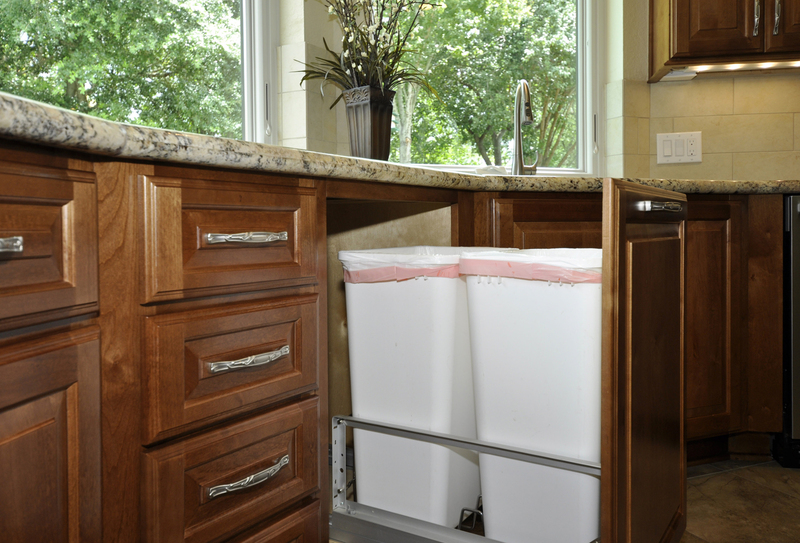 Roll out trays in base cabinets and pull out spice rack wall units make for more organized storage. 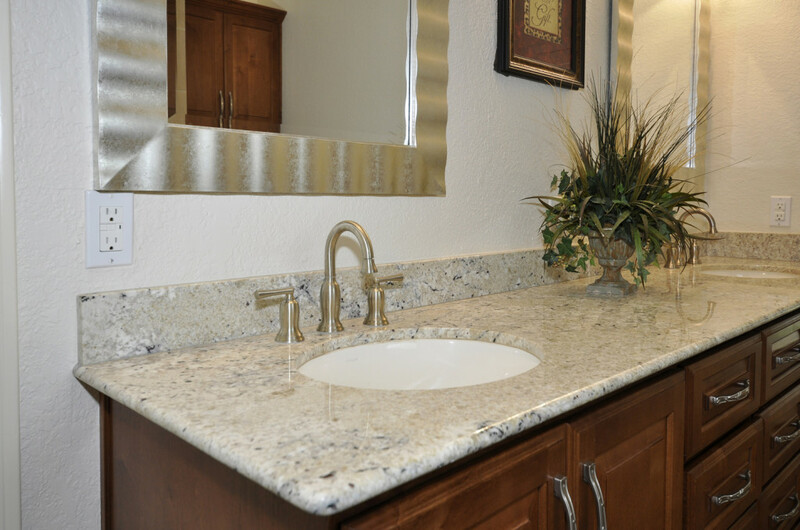 Disconnect and disable bar sink. 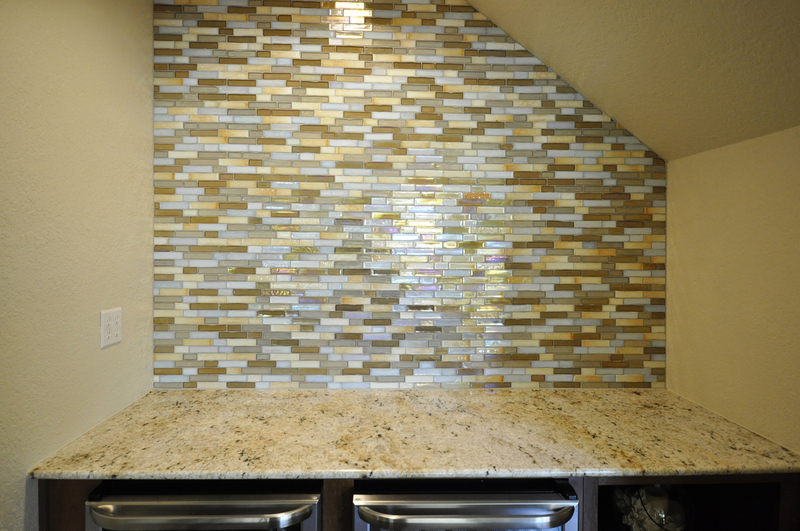 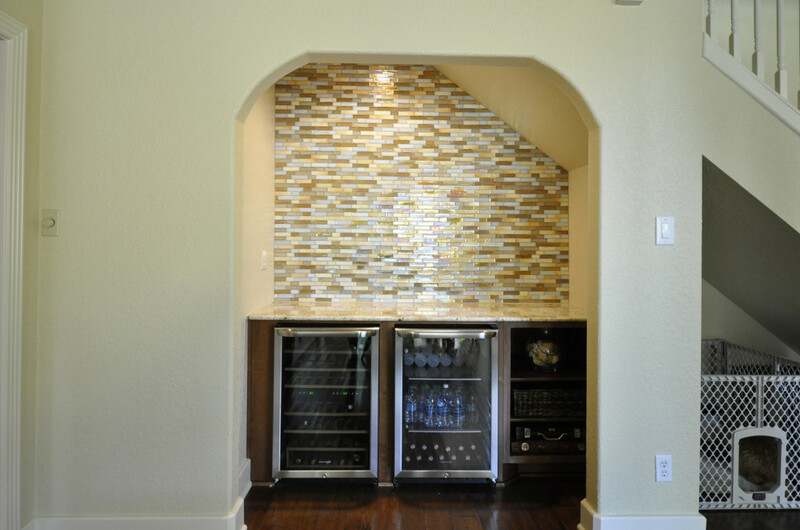 Wet bar converted to beverage storage with high impact glass mosaic wall. 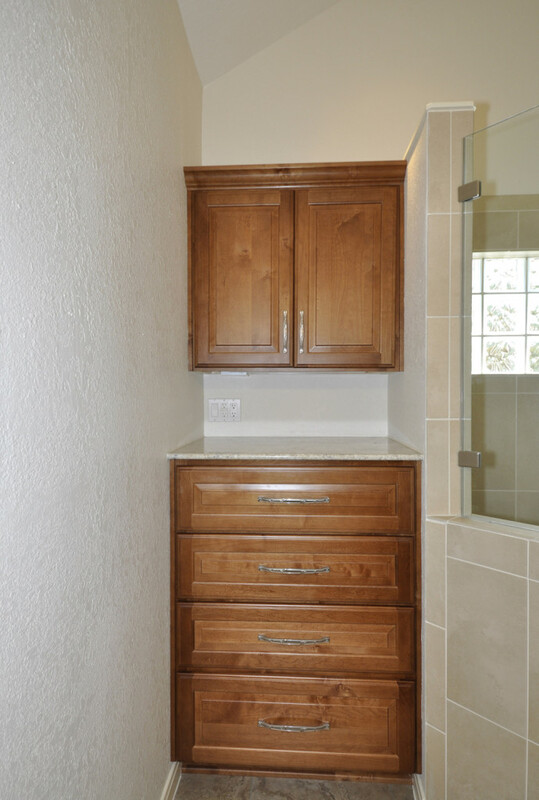 Linen closet cabinetry and large double shower to replace the original shower and tub combination. 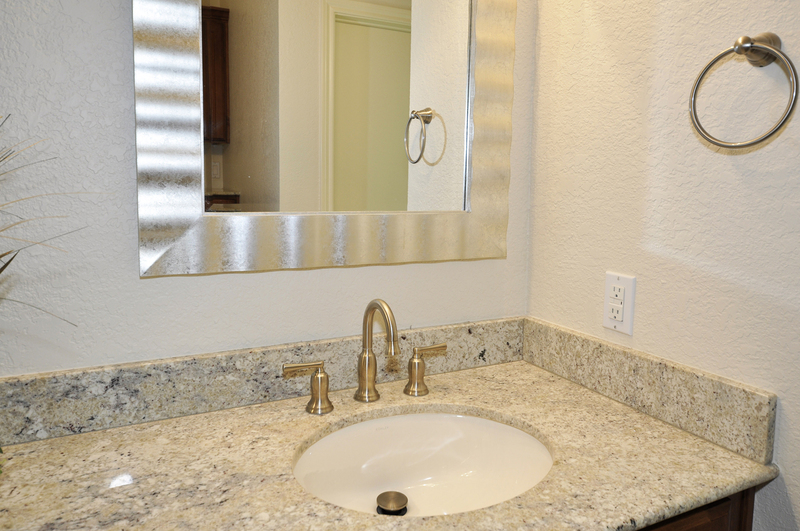 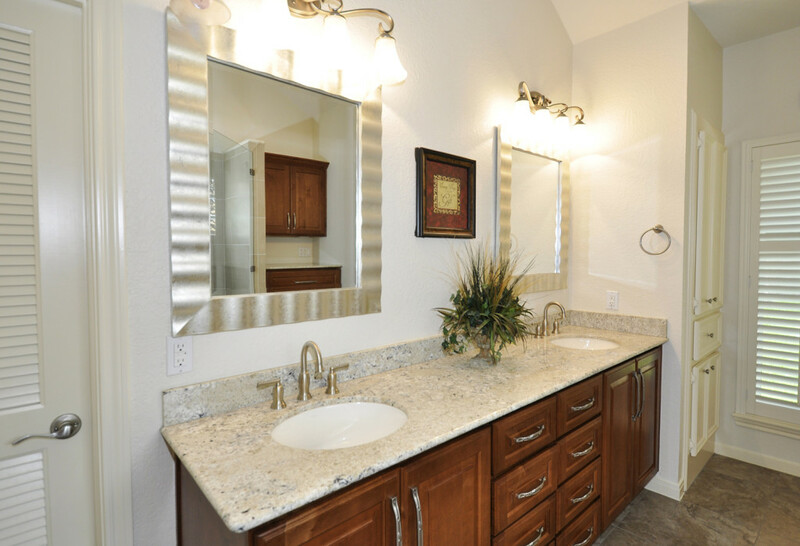 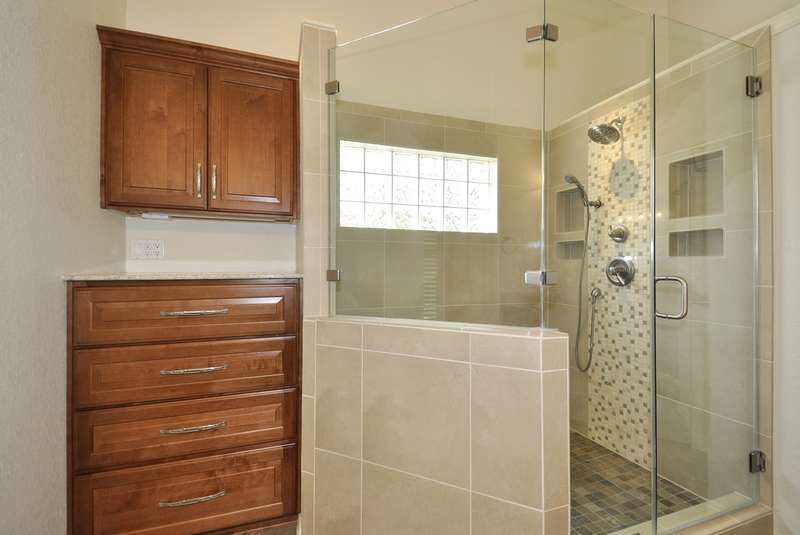 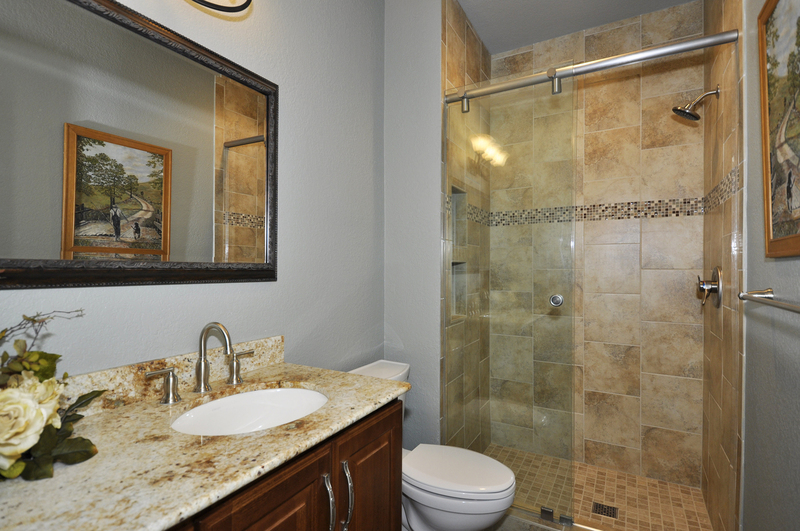 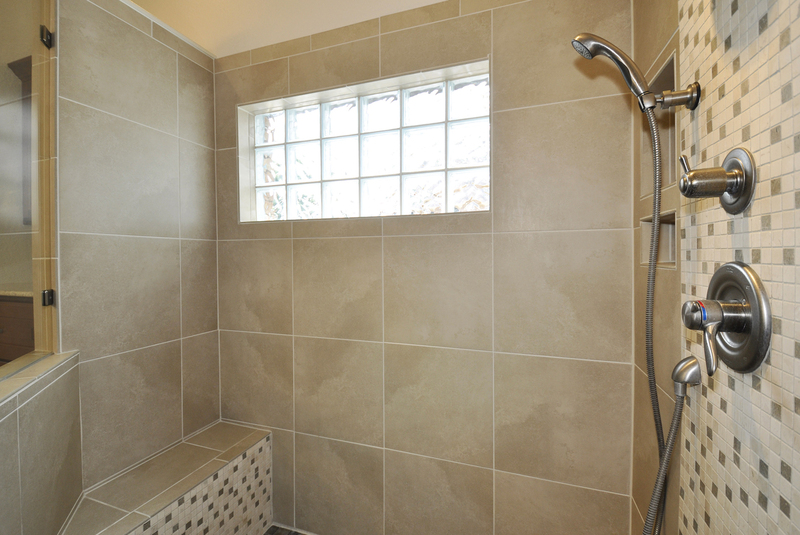 Niches on each side of shower head mosaic strip create balanced shower shampoo bottle storage. 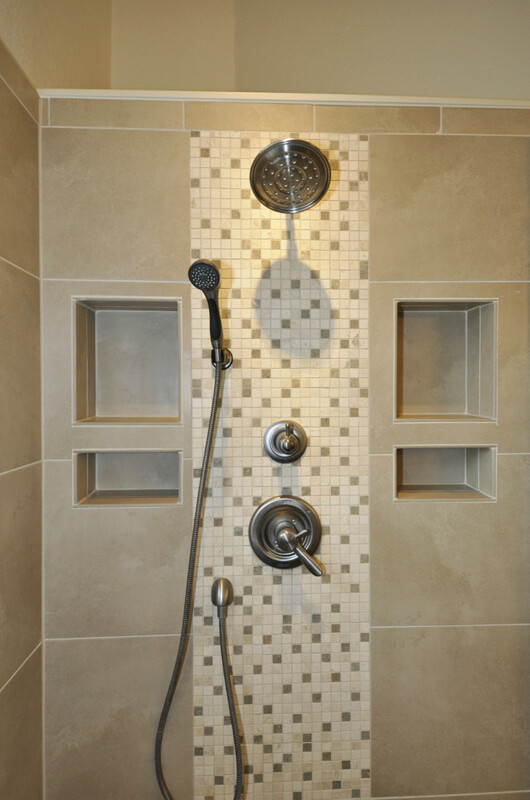 Both handheld and fixed shower heads let you take luxurious shower. 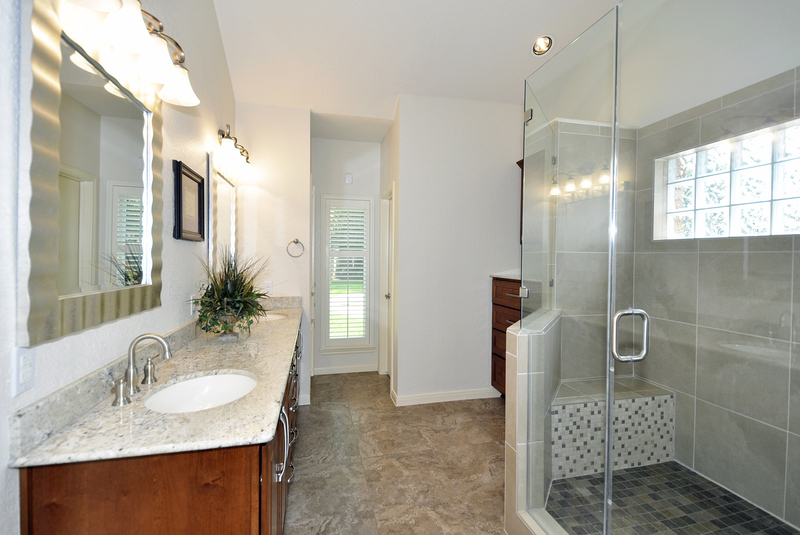 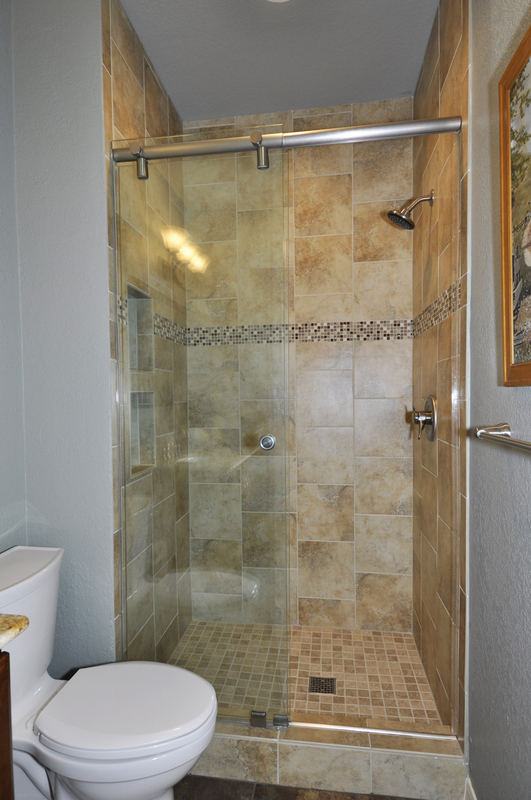 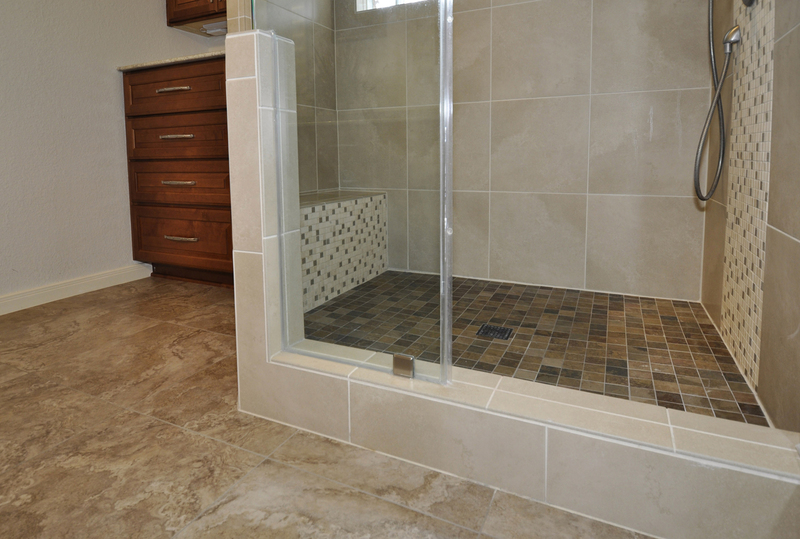 New, frameless sliding shower glass doors reveal the beauty of the tiled shower walls. 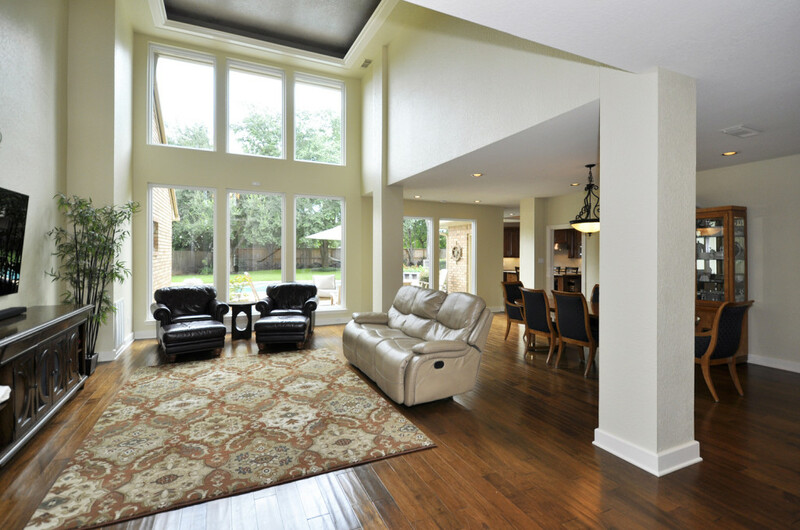 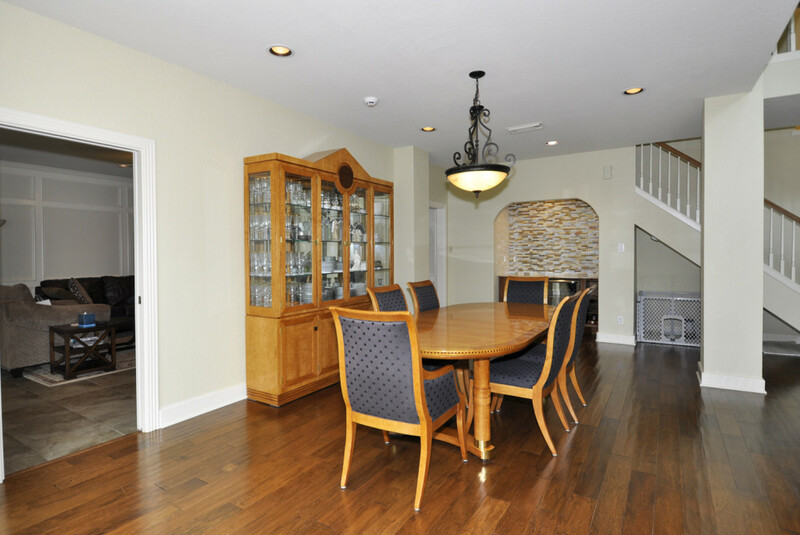 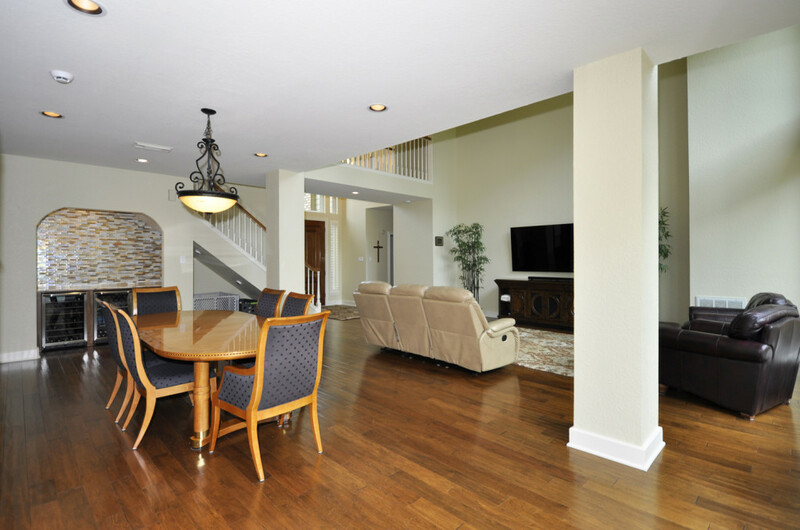 New, hand scraped, wide width wood flooring throughout living room and dining room. 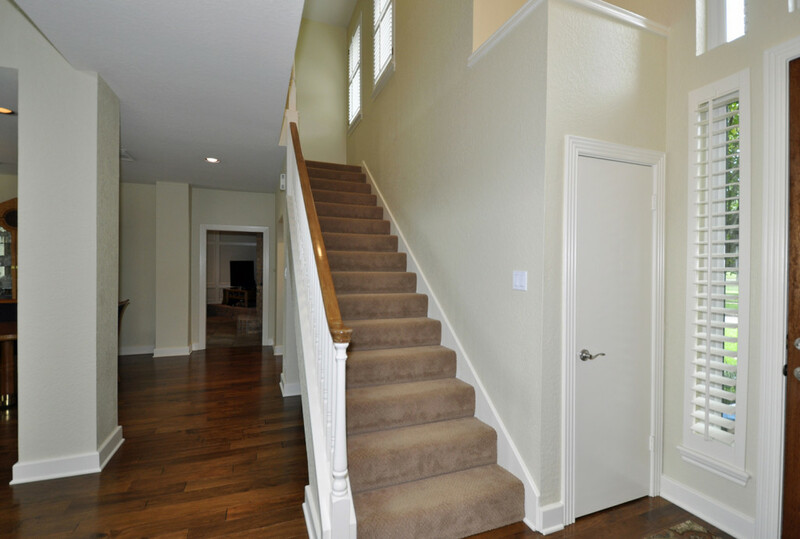 New carpet on stairs and entire second floor.